John Swinney’s education reforms could expose schools to “significant” financial risk and leave them without direction, support and skills, the professional body for people in public finance has warned. The Education Secretary’s plans to bypass local authorities and give more power to headteachers have led to the warning from the Chartered Institute of Public Finance and Accountancy (CIPFA). Schools and headteachers are to be given as much power as possible under Mr Swinney’s plans to turn around the education system. Regional education boards will also be established to encourage co-operation across council areas. 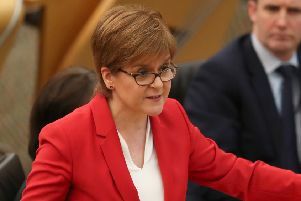 The reforms are being introduced in an attempt to close the attainment gap between rich an poor – an aspiration that Nicola Sturgeon has staked her reputation on. But a submission to the Government from CIPFA has said taking Scotland’s 2,500 schools out of council control could see their ability to deliver excellence undermined by a lack of direction, support and skills. CIPFA warns headteachers will have to become more commercially minded if they are to manage school finances. The submission also questions how schools will access local authority reserves and raises questions about future capital investment in schools, considering the limited borrowing powers in the public sector. Head of CIPFA Scotland, Don Peebles said:“Without detailed plans to replace the financial management role of local authorities, schools could be left rudderless which would expose them to great financial risk. “The proposals also raise significant question marks over whether schools have the relevant skills and expertise to manage their own finances.